With nearly $5 trillion in daily trades, the foreign exchange, or Forex, is the largest financial market in the world. It is bustling with activity 24 hours per day, and the fierce schedule can be difficult to master without a competitive edge. The best way to gain an advantage while trading on the forex market is to use all of the tools available to you, and two of the most powerful tools you can employ are news releases and market sentiment. Nearly all of the movement in the Forex market is based on the changing economic conditions and sentiment in the various nations of the world. Although it is impossible to predict whether a currency will rise or fall in value with 100 percent certainty, the chances of a successful forecast can be increased by watching for indicators in the news. The top forex traders pay close attention to international news releases, especially those pertaining to financial or economic matters. Events that are reported in the mass media can profoundly affect the forex market and currency prices because the news alters the financial sentiment in consumer, commercial, industrial and government sectors. 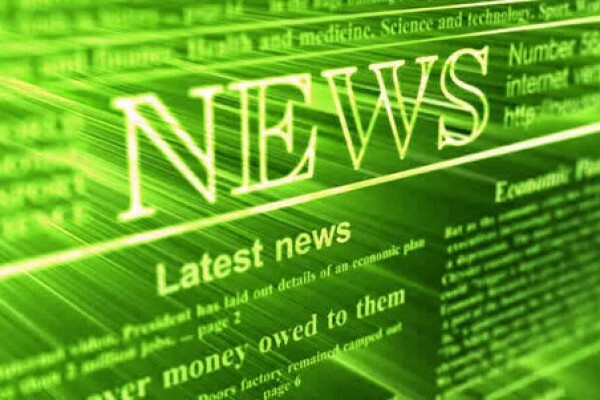 Examples of news releases that can cause reactions in the market include reports on a nation’s gross domestic product (GDP), changes in interest rates, political changes and payroll reports. However, the news that is the most valuable to forex traders covers surprise situations or events that contradict popular expectations. Even though news releases may contain obvious indicators about how currency values will move on the forex market, it is still very difficult to determine just how much a particular currency will rise or fall. Because of this, many experienced forex traders will hedge their investments upon the release of significant news items. To hedge your trades, it is first necessary to determine the likelihood that a currency will rise or fall in value against another. The majority of your investment will be riding on the most likely position, but some funds are held in reserve for movement in the opposite direction. As a news story develops more fully in the future, trades can be adjusted in order to maximize profit. • Gross domestic product – The GDP is, arguably, the most important indicator on the state of a country’s economy. • Interest rates – The prime lending rate set by a country’s central banking system directly affects the value of its currency. • Unemployment – It is extremely rare for currency values to remain unchanged following the official release of unemployment rates. • Inflation – Low inflation is an indicator of a strong, valuable currency while high inflation is an economic warning sign. After the gold standard was abandoned in the 20th century, the value of currency has rested solely on the beliefs of those who earn, trade and spend it, which means that overall market sentiment can be a great tool for predicting currency changes. Although using sentiment indicators in the forex is a fairly new strategy, it is quickly becoming a standard analytical method. Forex sentiment is a measure of how traders feel about their investments and the market in general. When the prevailing attitude of traders and analysts concerning a particular currency, trade or investment product are positive, sentiment rises, and when the collective attitude is negative, sentiment falls. A large part of sentiment derives from the volume of trading that is occurring during a given timeframe. An influx in buying means that sentiment has improved while dumping a currency shows that sentiment has deteriorated. Many forex brokers make it easy to determine and use market sentiment by providing sentiment indicators, which come in the form of charts displaying the quantity of trades made and positions taken on specific currency pairs. When the rate of long trades versus short trades is at its highest, these indicators can help you decide on how to make the most profitable investments in the market. When sentiment indicators are at their most extreme, this signals traders to pay close attention to a currency and watch for other signs of continued movement or reversal. In this way, those who use sentiment indicators have a head start on those who do not. However, it is important to understand that a level of sentiment considered extreme for one currency pair may be much higher or lower than that for another pair. Several different sentiment indicators are available to forex traders. One of the most popular is the Speculative Sentiment Index (SSI), and another is the Commitment of Traders (COT) report, which is issued each week by the U.S. Commodity Futures Trading Commission.